More than 200 youth delegates from China and African countries visited the Juyong Pass of the Great Wall and the Forbidden City on Saturday. They enjoyed the sights while learning about Chinese history and culture. Some of the African delegates expressed great excitement upon visiting the Great Wall. The visit was one of many planned activities of the Third China-Africa Youth Festival, being held from June 20 to June 27 in Beijing and Sichuan. Participants include 104 African youths and 100 Chinese youth delegates, who were to travel on to Sichuan following their sightseeing day in Beijing. 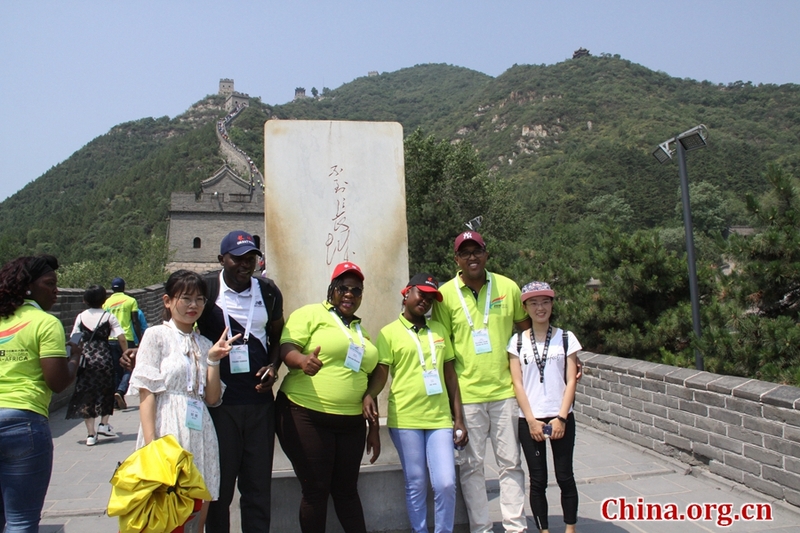 More than 200 Chinese and African Youth delegates attending the Third China-Africa Youth Festival came together for historical sightseeing tours to the Great Wall and the Forbidden City on June 23.